A/Prof Leigh Tooth is currently Principal Research Fellow and Deputy Director of the Australian Longitudinal Study on Women's Health (ALSWH). She chairs the Publications, Substudies and Analyses Committee of the ALSWH. She is CI on the NHMRC funded Mothers and their Children’s Health Study (MatCH). MatCH is investigating the relationship between mothers’ health history, since 1996, and the family environment to children’s health and development outcomes, including health service utilisation. She is also leading a program of research into health inequalities and the socio-economic determinants of health, and women carers. Her other current research interests are quality of life and comorbidity. 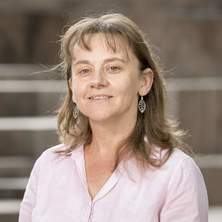 Her previous research experiences include a NHMRC Public Health Fellowship (1999-2003), during which she investigated the short and long term functional and community outcomes of people following stroke, and being a NHMRC Fellow with the Longitudinal Studies Unit in the School of Public Health at the University of Queensland researching statistical methodology and teaching into the epidemiology program. She has a PhD and first class honours degree in Occupational Therapy from the University of Queensland. A/Prof Leigh Tooth is CI on the NHMRC funded Mothers and their Children’s Health Study (MatCH). MatCH is investigating the relationship between mothers’ health history, since 1996, and the family environment to children’s health and development outcomes, including health service utilisation. 3) Australian Government’s National Women’s Health Policy 2010. I am also one of the founding chief investigators of the OTseeker (Occupational Therapy Systematic Evaluation of Evidence) database (http:\\www.otseeker.com). OTseeker contains citations and abstracts of >9000 systematic reviews and RCTs relevant to occupational therapy. All RCTs have been critically appraised and rated to assist therapists’ judge the quality and usefulness of trials to help inform clinical interventions and decision making. OTseeker is freely available worldwide. Since its launch in 2003, OTseeker has had >2 million visits; people accessing OTseeker come from >100 countries including the USA, UK, Canada, the Scandinavian countries, Japan, Germany, Senegal, Chad, Slovenia, Columbia, Georgia, Tanzania and Kuwait. The quality and impact of OTseeker is reinforced by its continued external funding since 2002. · The invitation by the World Federation of Occupational Therapists (WFOT) to the developers of OTseeker to contribute to the 2011 special edition WFOT bulletin on “Evidence based Occupational Therapy Practice around the Globe” (see publication A65). · Its description as a key resource in occupational therapy texts, research policy documents of international occupational therapy associations, journal articles and editorials, and its listing on hundreds of library and professional websites. Transitions into and out or caring and their effects on health and use f community services in women born between 1921 and 1926. Client Education: A partnership approach for health practitioners. Edited by Kryss T. McKenna and Leigh R. Tooth San Diege, CA: Plural Publishing Inc., 2006. Is use of formal community services by older women related to changes in their informal care arrangements? Does government subsidy for costs of medical and pharmaceutical services result in higher service utilisation by older widowed women in Australia? How and why do occupational therapists use the OT seeker evidence database? Are women's experiences of caregiving a community of practice? Impact of cognitive and physical impairment on carer burden and quality of life. Patient performance on Reintegration to Normal Living Index and the Frenchay Activities Index: Do patients and significant others agree? How readable and useful are occupational therapy written education materials for elderly people? Patients functional and cognitive status after stroke: How are they related to caregiver burden? How well do health and community services help older people with neurodegenerative disorders and their family caregivers?